Vietnamese have avoided multi-level marketing as though it were the plague, and for fair reason. A quick Google search on the business model and the first page of results are rampant with warnings of fraud, plus one or two news stories on multi-level marketing companies which just got busted. There are more than three million search results listed for the phrase “fraudulent multi-level marketing”. The scale of multi-level marketing scandals was too big to ignore. In March, a group of cryptocurrency investors made a fuss about a company that allegedly swindled more than VNĐ15 trillion (US$666.6 million) from thousands of the network’s members by promising a huge return on their investment. The biggest yet confirmed fraud case involving multi-level marketing was the arrest of leaders of the Liên Kết Việt Company, which was found to have taken a total of more than VNĐ2 trillion from some 67,000 victims. Many of them were poor, less educated people in rural areas who spent their hard-earned life savings in the hope of some big profit, and in doing so they wrecked their relationships with their family, friends, colleagues and other social connections by dragging them into the scam. The economic and social impacts were so big that there were calls urging the Government to completely ban the business model, which is very controversial around the world. The problem is, however, Vietnamese people were more than often confused about the difference between the legitimate multi-level marketer and an illegal pyramid scheme. 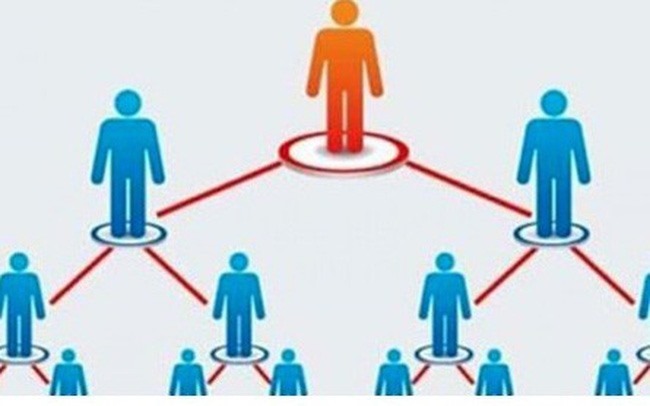 While a pyramid scheme generates no real sale of products, and participants depend solely on more recruitment to make money from new members, distributors of a multi-level marketer will earn money by direct sales of the company’s products, plus some commissions of sales from their downline - or their own recruited distributors. A multi-level marketing business model, in fact, has many advantages for its members. Their work can be flexible, which is meaningful for those who want to earn some extra money besides their current nine to five job. They can start-up with just a small amount of money to begin with, while their potential earnings are unlimited based on their efforts and effectiveness. That was perhaps the main reason why the Vietnamese Government was relatively reluctant to issue a ban on the model. Besides those fraudulent pyramid companies disguised as a multi-level marketers, there were still several multi-level marketing firms operating legally and generating proper income and opportunities for those dreaming of becoming an entrepreneur of their own. We cannot sacrifice the whole business because of our weak, incompetent fight against the wrong. In an effort to tackle the pyramid scheme problem, the Government recently issued a decree to tighten its grip on the multi-level marketing industry. The decree, obviously targeting the pyramid scheme, was very detailed about what a multi-level marketer must not do, including forcing new participants to pay a deposit firsthand, or organising mass audience conferences without licences granted by local authorities. A multi-level marketing company is also required to have the minimum registered capital of VNĐ10 billion before it can get a business licence. At least the Government has tried to solve the tip of the problem. But it requires a healthy dose of doubt that the authorities, both central and local, will have sufficient resources to inspect and track every activity of a multi-level marketing company. Those regulations of the Decree 40 will hence mainly serve as the legal base for official investigation or a court’s verdict rather than a powerful deterrence. Secondly, the issue lies deep with the very citizens who chose to join the pyramid network. A promise of huge profit at a rapid rate, which generally turns out to be a lie, can be too tempting for many to turn away. It was not easy for anyone to do so, and much more difficult for those less educated, less exposed to sophisticated fraudulent tricks living far in the countryside. Sad but true, the ones most vulnerable to the pyramid scheme tend to be the poorest people.